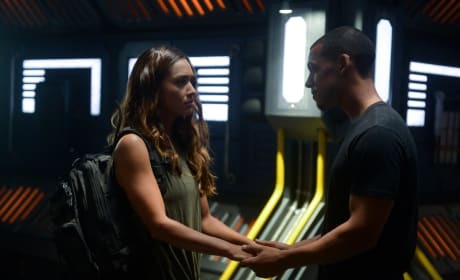 Jackson and Miller finding a moment together on the new planet. 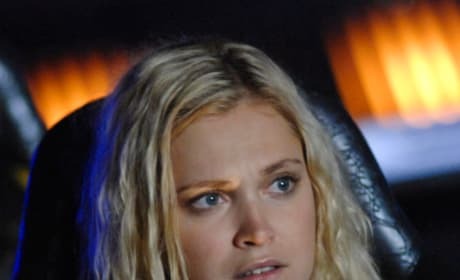 Clarke concerned as they make their way to the new planet. 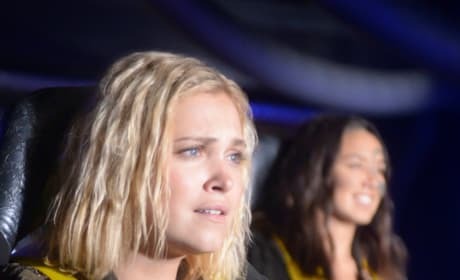 Clarke and Emori see the new planet for the first time. 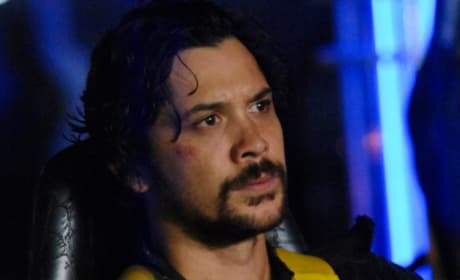 Bellamy coming down to the new planet where everyone will start over again. 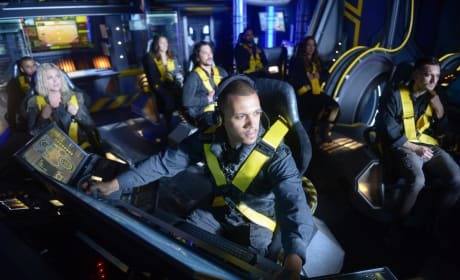 Raven on the ship during a tense moment between her and the others. Raven and Zeke finding a moment to themselves together. The main group traveling down to an unknown planet in search of a home. 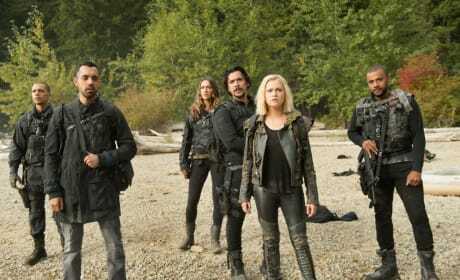 The first group that arrives on the new planet in the Season 6 premiere. 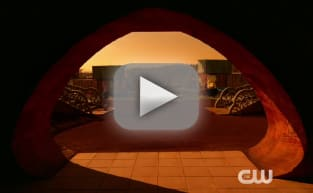 Bellamy and Clarke on Sanctum in a village together. Raven and Zeke on the new planet together enjoying some privacy. 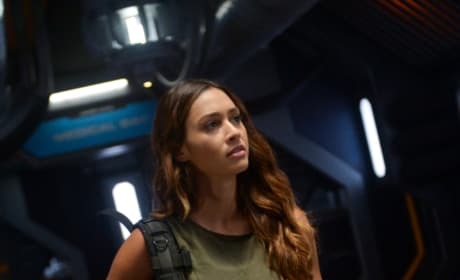 JR Bourne's new character on The 100 named Russell. Everyone arrives on the new planet and they have some questions.